This unsuspecting title is one of the Switch's most engaging rhythm game experiences in some time. Our review. If there's one thing the Nintendo Switch does extremely well, it's rhythm games. It's become an unexpected mecca of sorts for out of the way musical titles, and I've snapped them up in turn every single time. From Superbeat: Xonic to Floor Kids, there are various different titles available out there to choose from on the system, and I'm proud to have given most of them a spin. When I saw Musynx was making its way to Switch, I was instantly intrigued. It's a lightweight rhythm game with a great deal of songs catering to a wide variety of tastes. The Switch is an excellent place for it, given its simplicity when it comes to learning the ropes and its austere challenge when you've moved past the beginner's four-button play into the world of six buttons. It's an adorable and exciting rhythm game that feels right at home on the Switch, and I've been living it up in Musynx just about every day, even beyond review play. Here's why it's so mesmerizing. It's easy to understand why Musynx is such a treat as soon as you load it up. You open the game, get past all of one or two introductory screens, and you're in. There's no wasting time with credits, flashy opening movies, or silliness that you have to deal with. It's on and poppin' as soon as you're ready. It's the ultimate no-frills experience for me in that regard, because for most rhythm games it's a production to even get set up. Don't even talk to me about getting Rock Band setlists going. With that said, there are no menus to speak of rather than rudimentary options that you can select for each song. You can press up for harder difficulties, and back down for easier songs. The songs themselves don't change, but how hard they are will. I would have preferred it if I could have used the Joy-Con's analog stick to navigate the songs instead of the D-pad, but that was a minor niggle. There's also no tutorial and no explanation provided to help teach you how to play. It's as if Musynx assumes you're a rhythm gaming veteran, and while I am, I know not everyone else who will pick it up will be. Thankfully, it's extremely simple to learn how to play, especially if you opt to play with the touch pad and not the controller. My first few plays were with the Switch's Joy-Cons, but I soon opted to play with the Pro Controller, both of which offered more challenge than using the touch screen as I would have with the mobile versions of Musynx. I'd recommend newbies playing this way instead of with the controllers, as it's much simpler, and more encouraging if you need help figuring things out. What makes Musynx stand out from the crowd (and the other Switch's music games, natch) is its eclectic selection of songs. There's something for everyone, ranging from dubstep to hip hop to cutesy Vocaloid songs that'd have any Hatsune Miku fan green with envy. 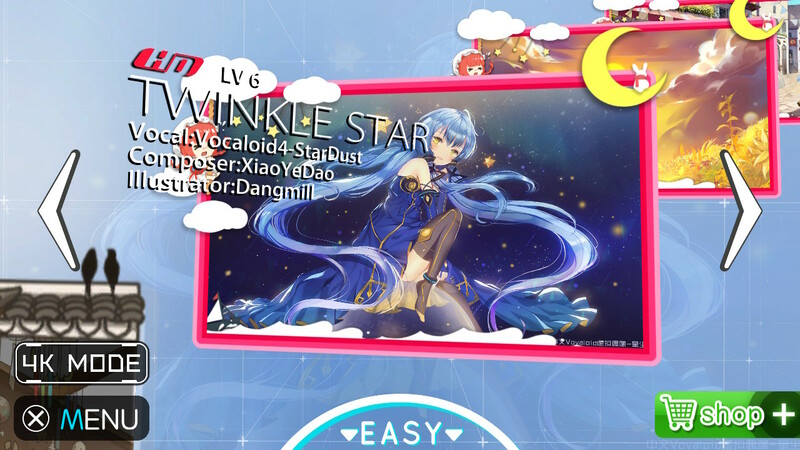 There are a ton of Vocaloid songs, many of them sung in Chinese, which may end up being a turnoff to users who aren't as into the anime aesthetic or "kawaii" look that many of the songs are accompanied by, but for anyone else into the scene, it's a cute-lover's paradise. That's not to say there aren't tracks with heavy bass, EDM influences, or weirdness emanating from them, because there are plenty. But just know that if you don't like Vocaloid music, you may have a hard time enjoying Musynx. Luckily, there's a fun and different aesthetic for most of the songs, including futuristic looks, 8-bit homages, hand-drawn imagery, and even MS Paint specials. The presentation in each song more than makes up for the lack of options and other ways to play, and you'll very quickly start falling in love with what's on offer. 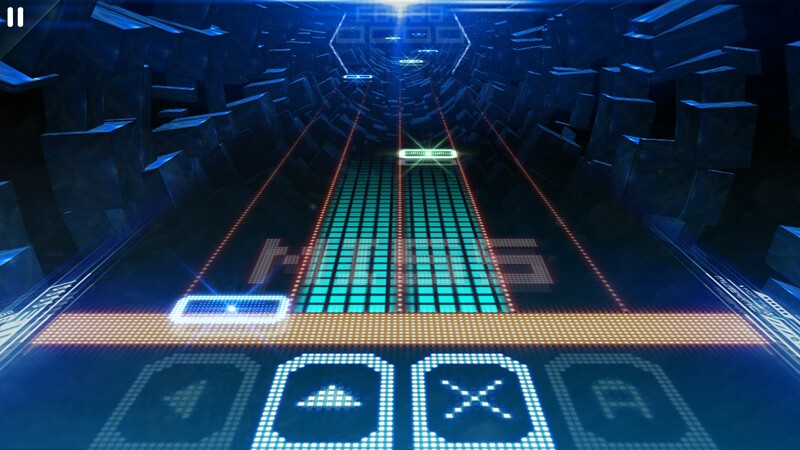 Musynx is a light, quick, and challenging music game with plenty of reasons to keep you coming back for more. It may be devoid of endless options, additional difficulties, and all the window dressing that comes with the "bigger" rhythm games out there, but it's well worth taking for a test drive. Its huge collection of songs, addictive rhythm gameplay, and fantastic controls make it one of the Switch's must-have rhythm games. If you haven't already tried it, you should absolutely take the plunge soon. This review is based upon product provided by the manufacturer. Musynx is available now and retails for $29.99. An abundance of Vocaloid tracks, which will turn some players off.